I've wanted to buy this print for several years, and I'm thinking it's time to pull the trigger. 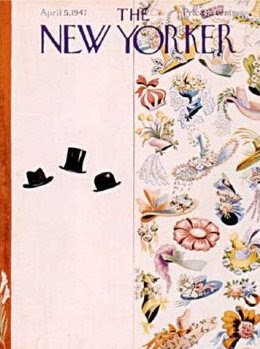 It's a New Yorker cover from 1947, and I think it will be perfect for the wall between my closet and Mr. E's. Such a clever comment on the sexes, no? You can browse New Yorker covers and cartoons here. Tons of great Fathers' Day ideas!